Jimmy Lewis Black and Blue Machine SUP – SUP, Windsurfing UK. Jimmy Lewis Black and Blue Machine nose rider surf board was built to bring the 60s back to life with classic old school surfing, drop knee and nose riding moves as a must. 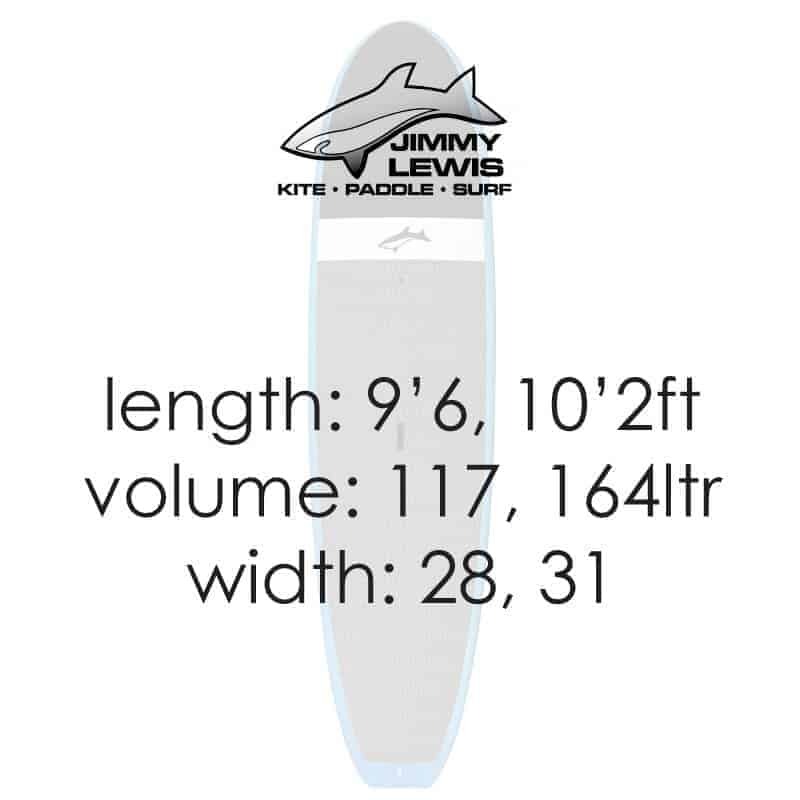 The Jimmy Lewis Black and Blue Machine is a real old school board that will really tickle the toes of classic surfers. Don’t get me wrong, this board can be enjoyed by anyone, but it definitely has a particular surfer in mind. No point being in a rush to boot it off the lip. Just cross step back and sink the tail to then draw forwards. 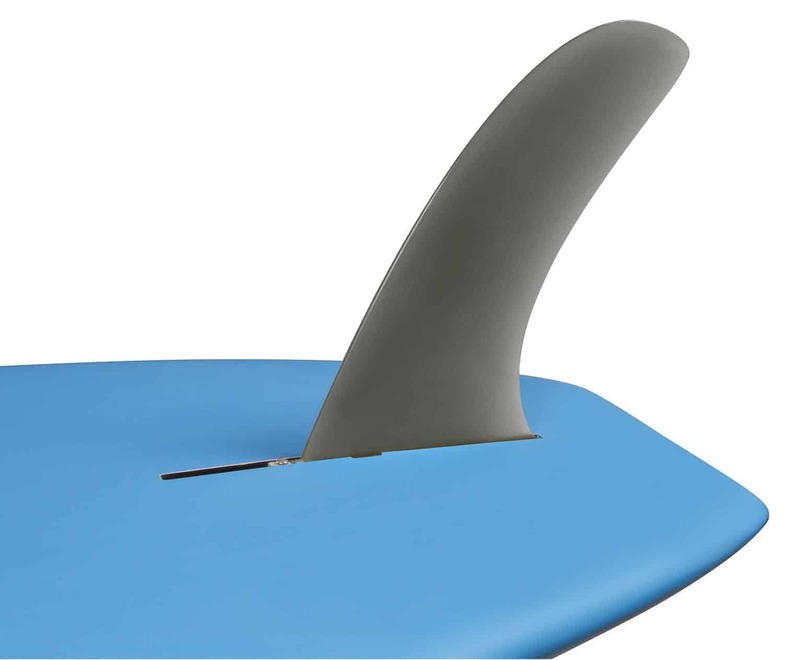 Once the tail is engaged with the wave the big fin will hold the board perfectly in place allowing you to ride the nose and cross step around showing some serious moves. 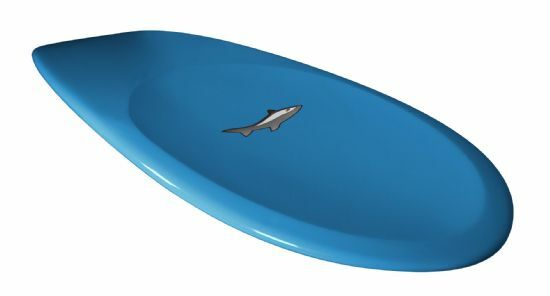 The board has two optional nose styles, one with a scoop and one without. The scoop helps generate lift whilst you’re upfront, but can be a bit of an acquired taste. A big fin helps to hold the tail in the wave and not outrun it with a square tail helping to reduce speed. 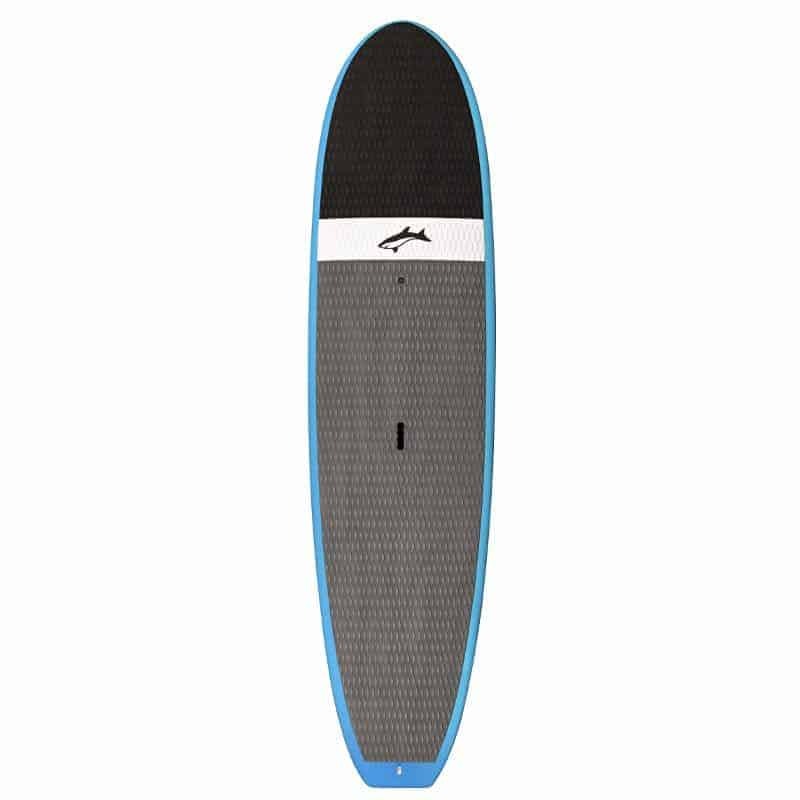 The Jimmy Lewis Black and Blue Machine has a full length deckpad which is really comfy underfoot and walks you right to the tip. Forgot to say it is really nicely colour matched too. If you appreciate longboarding, are going bald and were staring into space in the 60s then this board is for you. It takes time to master it but delivers loads in return so get on board and come try one. The Jimmy Lewis Black and Blue Machine comes in 2 sizes with the smaller one being a fair jump down in volume so let me explain how it works. 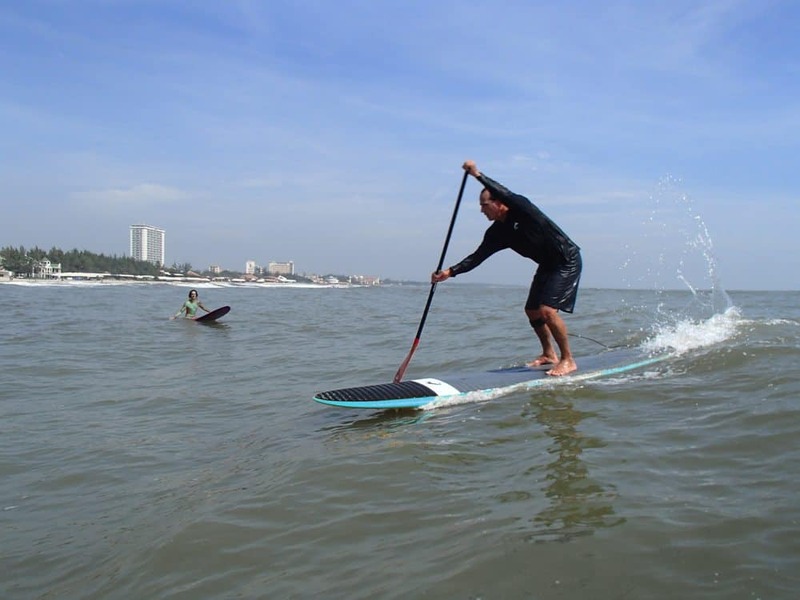 The 10’2 is an easy board to paddle round even in rougher water. With 160 litres it easily floats a paddler weighing 14 plus stone and at 31 wide delivers a very stable platform when on and off the wave. At this length it is really easy to catch even the smallest bumps and paddle into the wave so you can grab a lot or rides. The 9’6 Jimmy Lewis Black and Blue Machine is a bit more of a tricky ride better considered by those who can already surf smaller sups. You are looking at a board that is 28 wide and this reduces stability, but surprisingly not too much. 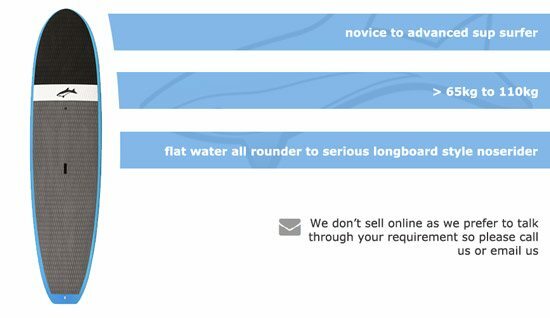 Add to that the reduced volume of 117 litres and you have a board that will feel far more tippy when waiting for waves for the 85+kg person, but as with all surf sups they are meant to be enjoyed on a wave so maybe take time to learn to paddle a smaller board. 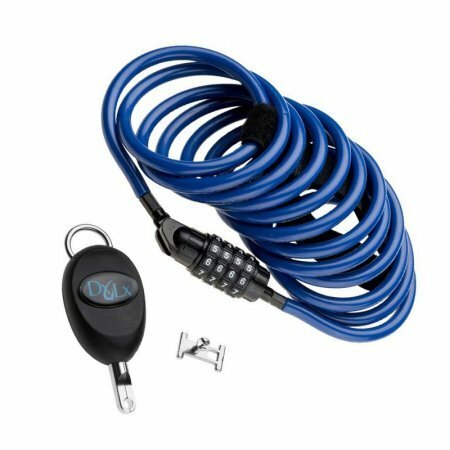 The rewards of a reduced volume board can be huge. For me the 9’6 Jimmy Lewis Black and Blue Machine is the board of choice as I weigh in at 85kg and am well used to low volume boards. That said I do like the 10’2 as the extra volume helps you catch those much smaller waves a little earlier.